If you are looking for a luxury holiday rental in Barcelona, our Large Muntaner Suite will be a perfect match for you. Montly rent only! Spacious five bedroom flat is located in the modern Eixample district, which is close to the historical centre of the city, but at the same time it is very calm and quiet. 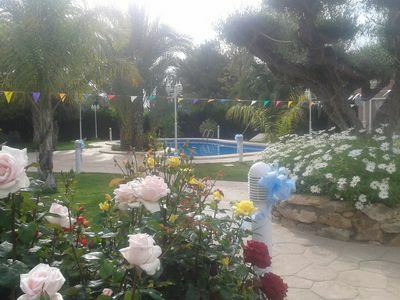 The total area of the apartment is 220m2 and just for monthly rental. 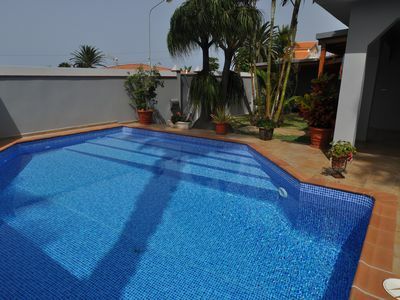 The flat has five bedrooms: one master bedroom with double bed and four large bedrooms with two single beds in each. There are two complete bathrooms with bathtub and shower. Also there is a spacious living room with direct access to the balcony. 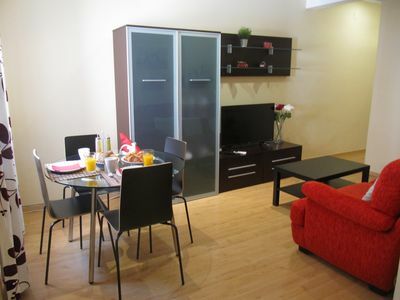 The whole apartment is fully equipped, including air conditioning, satellite TV and free Wi-fi. Additional amenities include: concierge, elevator, coffee maker, washer/dryer, fan/ extractor, patio/deck/terrace, vitro ceramic, kitchen utensils provided, shower, water kettle, smoking allowed outside, city view, bathtub/ shower, towels and bed linen provided, iron and ironing board. This apartment is cleaned by a professional cleaning service and provided with freshly, professional laundered.A babycot can be provided upon request. This apartment is cleaned by a professional cleaning service and provided with freshly, professional laundered, bed linen and towels. 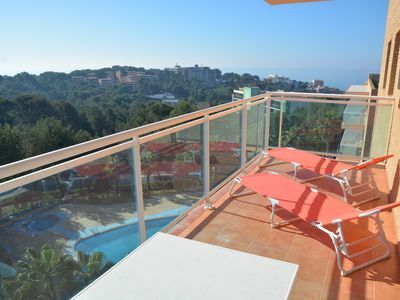 Within walking distance there are supermarkets, restaurants and shopping malls to explore. If you like a drink once in a while, head over to the left side (Esquerra) of Eixample. The right side (Dreta) is more residential while the left is more commercial with shops, bars, clubs and restaurants. Eixample Esquerra has a number of great bars that will satisfy your drinking needs! "Espit Chupitos" boasts of more than 500 different shots, a wonderful place to get your night started in style. Eixample has more than a fair share of clubs and party locations. If you would like to try something a bit more interesting and fun than your average club, give the "Mojito Nightclub" a try. Here its' all Latin, with salsa, samba and other Latin dance moves being shown on the dance floor. One of the most famous clubs in all of Barcelona is "La Fira", which due to its huge dance floor is always worth a visit. Eixample is home to one of Europe's most famous shopping streets, Passeig de Gràcia. On Passeig de Gràcia you will find the stores of many of the worlds biggest designer brands, such as Dolce and Gabbana, Karen Millen, and Burberry. The stores on the Passeig de Gracia are mainly high-end, but you will also be able to find the inevitable Zara, Mango and Nike store. 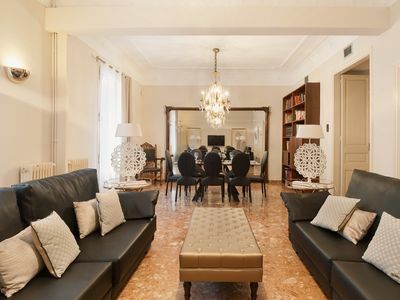 Located in the architectural wonderland that is Eixample, this apartment is besides Hospital Clinic and walking distance from most tourist attractions in the district. Take a stroll along the majestic tree-lined streets of this historic area and marvel at the curio shops, stunning houses and numerous local bars and restaurants. Just a 10-minute walk from your front door is Passeig De Gracia, with its designer boutiques and modernist buildings such as La Pedrera, Casa Battlo and Casa Amatler. 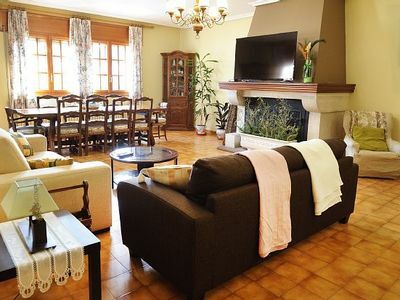 A short distance further is the market Sant Antoni, with its authentic Catalan atmosphere. Even if you do not buy anything here, why not just sit on a terrace and watch the locals go about their daily life. 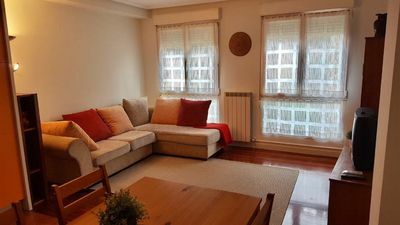 Of course, you are only a five-minute journey from the city centre and the nearest metro stop is the Hospital Clinic, this apartment is in a superb location to discover Barcelona. The best way to get to the apartment from the airport 'El Prat' is taking Aerobus, please step out at 'Gran Via - Comte Borrell'. Walk 3 min to the bus stop 'Comte d'Urgell - Gran Via', there you take the V11 Bus, direction 'Bonanova', 3 stops and step out at 'Comte d'Urgell - Hospital Clínic'. From there it's just 7 min (600 m) walk to our apartment. From Sant Estació you have to take the blue metro line (L5), direction 'Vall d'Hebron', 2 stops and step out in 'Hospital Clínic', walk 9 minutes (700 m) and you reach the apartment.